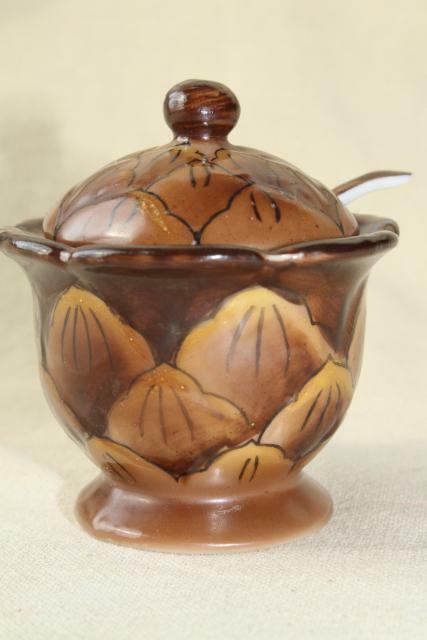 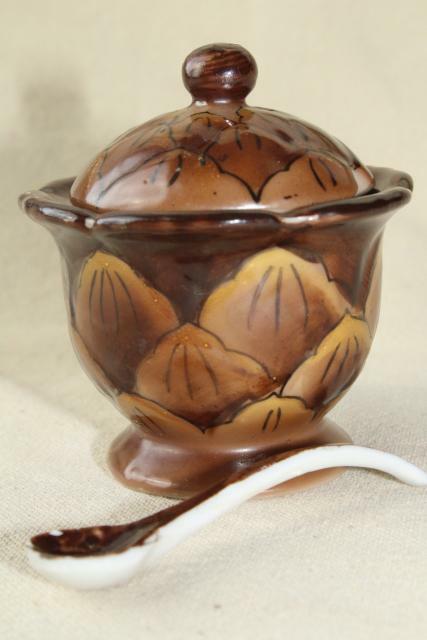 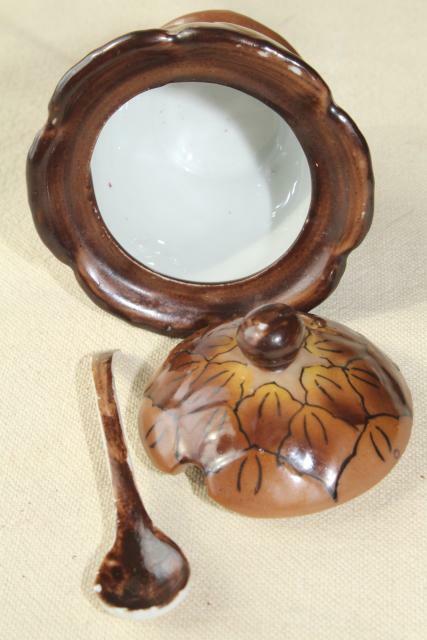 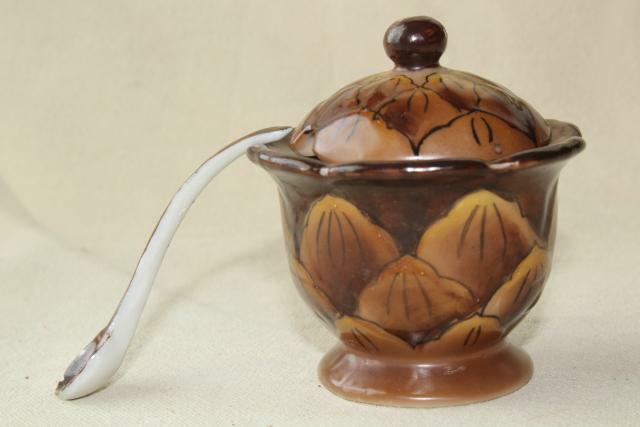 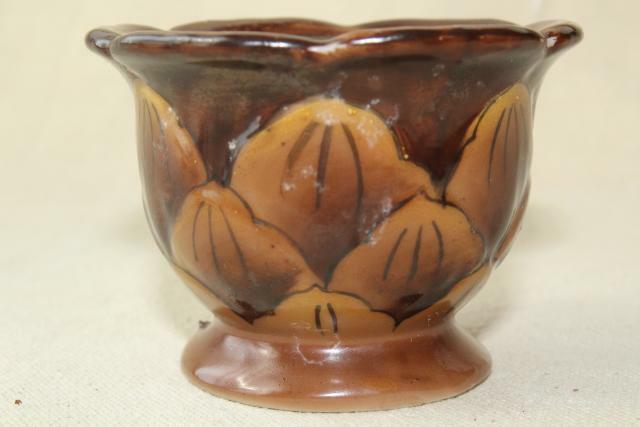 Little china jam pot or mustard pot, all hand painted (looks like a pine cone, or possibly an artichoke?). 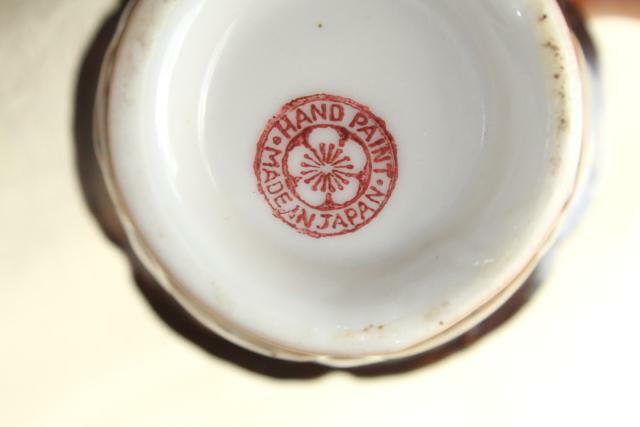 It's made in Japan, mid-century vintage. 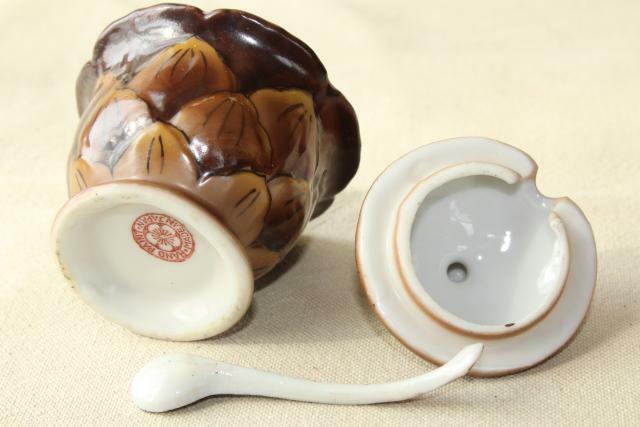 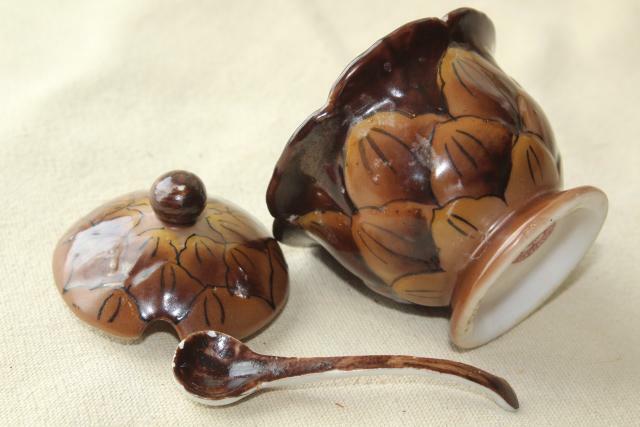 This measures almost 3" tall overall, with a tiny china spoon just a couple of inches long. 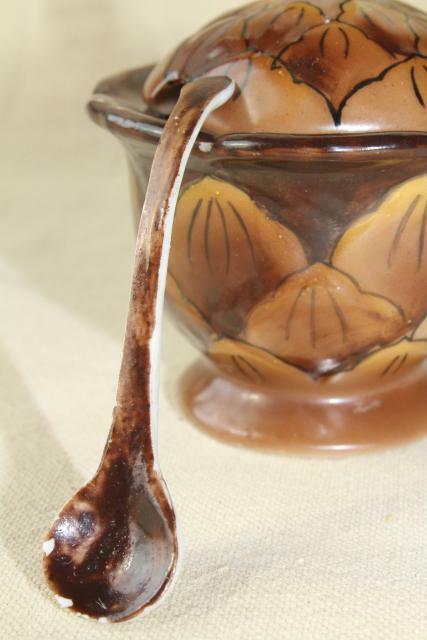 It's all in very good condition, without a lot of wear to the paint.